Whether you’re new to music or already have experience playing an instrument, learning how to play the piano provides a solid foundation for understanding harmony, melody, and rhythm. 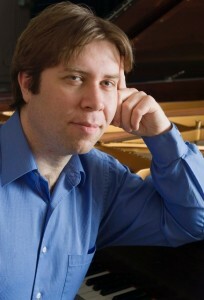 Travis’ lessons provide the student with a comprehensive knowledge of piano technique and repertoire. Travis has nearly thirty years of experience playing the piano, with intensive study and performance of both classical and jazz music. He has been teaching in both private and classroom settings for 20 years. He is currently providing private and classroom instruction as adjunct piano & woodwind faculty member at The Master’s School, a private music instructor at Westchester Home Music, and a band director for Paul Effman Music. Travis welcomes all ages from beginning to advanced students to his studio.